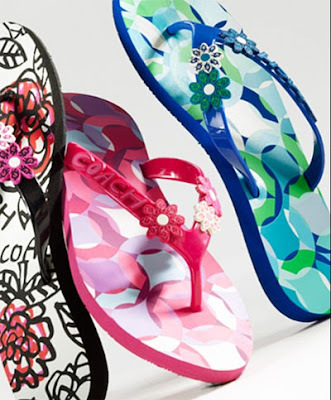 Before I even begin perusing the life insurance quote that my SIL handed me the other night, I decided to browse my fave COACH shop and look what I found: Coach Kerrie Flip Flop/Sandal has arrived and it's making me gaga over them. Summer is here and time to hit the beach and this is perfect to ramp and show off. It is being sold for $48 and I just hope that the quality is as good as the other name brand flipflops that I'm also using but knowing the quality of Coach bags, I'm pretty sure they are worth buying as well.